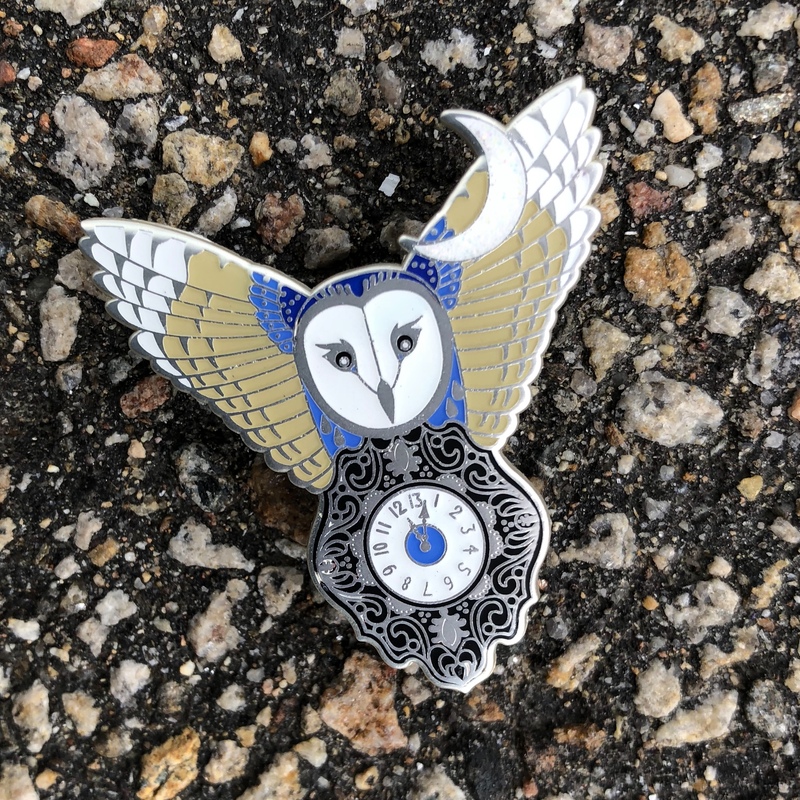 Inspired by Labyrinth, but fancy enough to be cool on its own. 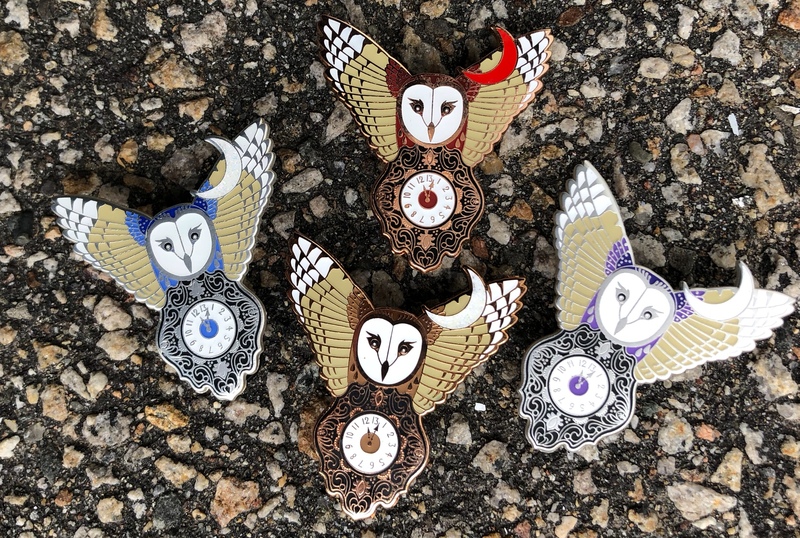 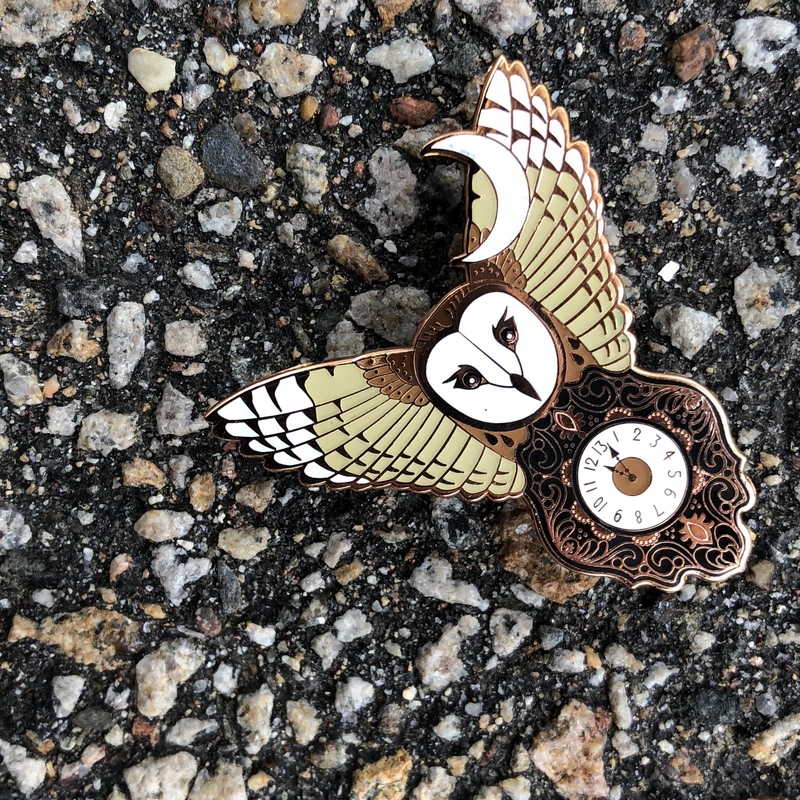 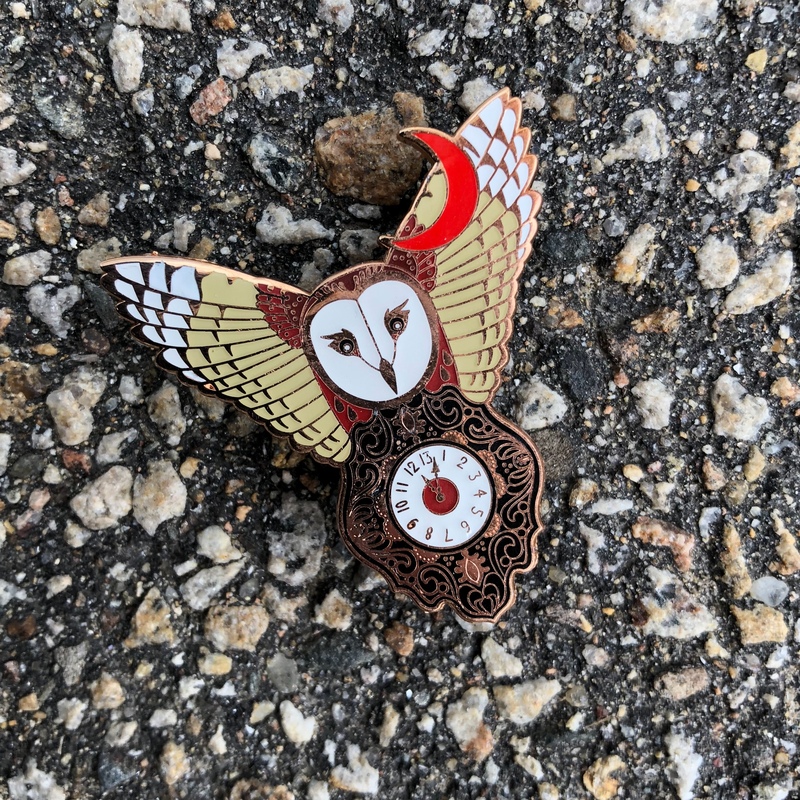 This hard enamel pin is gold colored metal, a large owl on top of a very detailed, 13 hour clock. 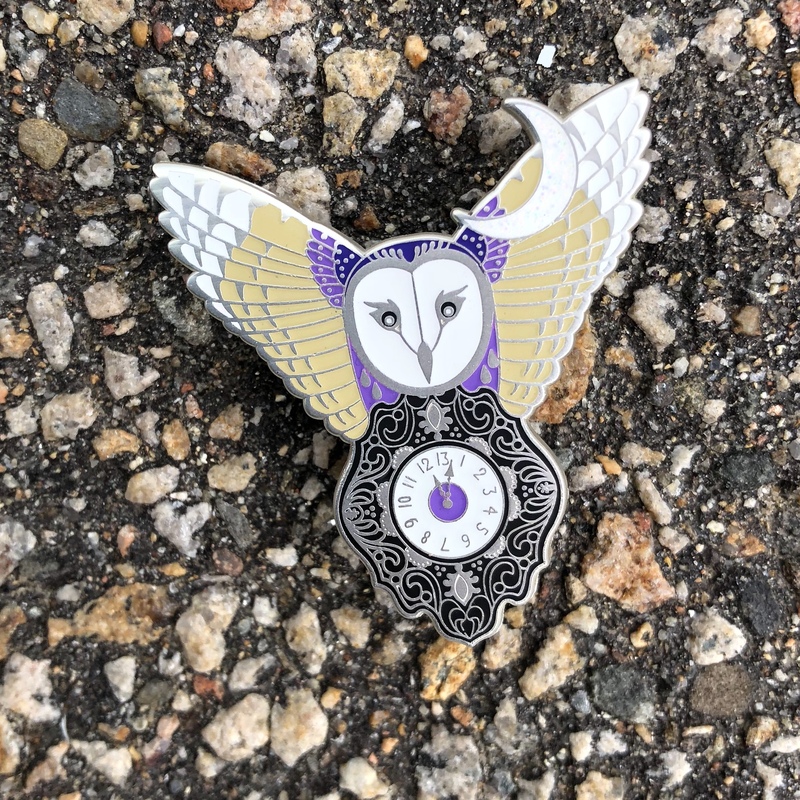 Now with Mint green colored moon!